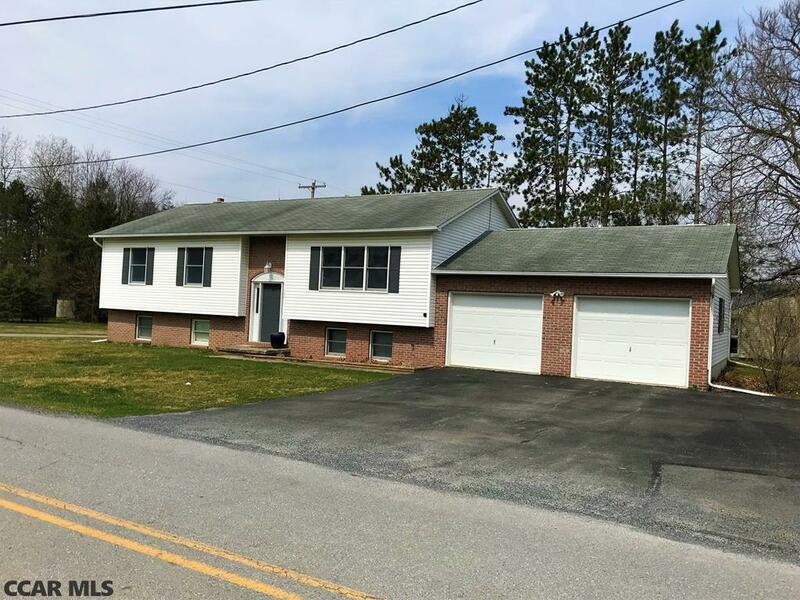 Come see this beautifully remodeled home on a .27-acre corner lot in the Bellefonte Area School District. Step in and enjoy the light pouring into the open and clean space, then walk upstairs to enjoy the gorgeous laminate floors throughout the open concept living area. As you follow into the kitchen, you'll appreciate the cozy, one floor living! Boasting three bedrooms, two full baths, and 1, 332 sq ft, this home is perfect for all your needs. Huge unfinished basement is ready to be finished to your liking! New HVAC system provides cool central air within the home and an efficient electric heat pump heats the spaces evenly during the chilly Pennsylvania winters! Large garage with 2 stalls and an impressive 552 sq ft. Schedule your private showing before this home is gone, it won't last long!